Julia Frant, in a case of mistaken identity, gets taken by the one man that she has loved for over four years, Alec MacLean. 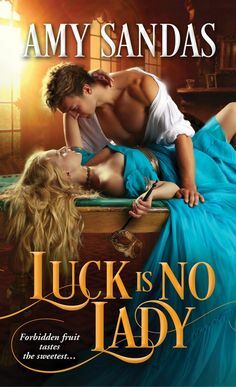 Alec MacLean in order for him to get his inheritance and keep it from his cousin, must marry by a appointed day and live free of scandal for one year. Julia Frant see’s this as a opportunity as her dream of being with Alec, whom she has loved for four years, finally coming true when she thought it would be impossible. She also after coming into a agreement with Alec will have access to funds inorder to help with her efforts to help those that are less fortunate than herself and in need of help to better their lives. For this is one of Julia’s greatest passions in life. After marrying Alec, Julia goes through a wonderous transformation that stuns Alec, from a plan jane to a beautiful woman that stirs up every desire. Alec finds himself hesitant to be too far from Julia’s side, and he cant help but want her, only her. Even though at time her do-gooder ways frustrate him to no end, her passion for everything in her life draws him like nothing else could. Alec MacLean, the fifth Viscount Hunterston, must keep the fortune from his grandfather, from his cousin’s greedy hands. So to that end he must marry, within certain requirements, and remain scandal free for one year. Alec’s grandfather raised him, but even though he respected his grandfather, he has never knew love between two people, and doesn’t believe in it. Alec leads a life of scandal, he is far from eager to being shackled for the rest of his life, but when he ends up marring Julia he unexpectately finds that he is slowly falling in love, who starts to melt the ice around his heart. Julia Frant, an American, who grew up in a loving home, with full knowledge of the love her parents felt for each other. Ever since she came to England, she has been in love with the one man she knows she could never have. but when a unexpected opportunity arises, where she can be with this man, that holds her heart. Julia truly cares for others around her, especially those in certain situations that are less than ideal and endeavors to help them at every opportunity. She is a stubborn character, having to always have things her way and never give in to anyone, especially Alec. But despite her flaws, she has a open and loving nature. The Abduction of Julia is the first installment in the Abduction/Seduction Trilogy written by Karen Hawkins. As far as authors goes, this is one of the best in the romance industry, and you would definitely be missing out if you haven’t read any of her books. The Abduction of Julia is about two people that are so much alike in temperment that they definitely clash heads, but the desire they feel for each other is just as strong, and over-rules any rational thought. Throughout the story we see two people, even though at odds for most of the book, they come together in the end, trusting in the love they have built, and definitely proves in this wonderfully written love story, how love does conquer any obstacle. The plot is filled with intrigue, danger, passion and a emotional cap to finish it with a wonderous story from beginning to end. Definitely kept me on my toes, and I could hardly read this book fast enough, it drew me in like a child to candy. One thing that I didn’t like was the contention between this couple so much throughout the story, I kinda felt that there were times that it was petty, but this story was definitely filled with human aspects, that made it feel more real for this reader. So overall a good love story and looking forward to reading the rest of the books in the trilogy and by this author that I have yet to get my hands on!! !